Monarch Broadcast Messaging offers cloud based online phone broadcasting — also known as voice broadcasting or automated dialing. This is an ideal solution if you are looking for a convenient, fast and inexpensive way to deliver thousands of pre-recorded messages at once. School alerts and announcements, schedule changes, customer notifications, emergency broadcasts — all kinds of messages can be sent in minutes using a cloud based system. Here is a summary of the several major advantages using the cloud for phone broadcasting. There is no need to buy any hardware, software, or rent hundreds of phone lines. There is no need to duplicate the telecommunications infrastructure that already exists and you literally save tens of thousands of dollars — possibly hundreds of thousands of dollars — in the process. Your only cost is the time it takes for your audience to listen to your message and that amounts to just pennies a call. So the old days of purchasing equipment, customized software and T-1 lines are over. You can do everything you need to in the cloud. Rather than purchasing and installing software, you can now tap into what is known as SaaS — Software as a Service. Essentially software as a service means that you can use the software via the Internet, without having to download anything. Monarch Broadcast Messaging provides you free software that you can access with a user ID and password. There is no cost to set up an account. You can sign into the cloud voice broadcasting platform to manage and send your voice broadcasts. To emphasize, there is no hardware, no software, and no massive internal phone capabilities. The only thing you need to send out a voice broadcast is a computer connected to the Internet. That’s it. Better yet, you only pay for what you use. This translates into substantial savings since you aren’t paying for idle equipment, leased time, operators or personnel. With a cloud based messaging system, you can commence a project at anytime and your only costs are when your messages get through to the intended recipients. In other words, you are only paying for the calls that get delivered. Normally, in a conventional set up, approximately 20% of your calls will never get through for any number of reasons — incorrect phone numbers, disconnects, busy signals, no answers, etc. With our cloud based service, you only pay for the calls that are delivered and only for the amount of time you are connected. Government regulations are attempting to keep up with this broadcast technology. Non-compliance can result in huge fines. That’s why it’s important to deal with a legally compliant cloud system that conforms to the new laws that are designed to protect consumers and you! We deal with these issues everyday and do will do our best to keep your projects in line with current government guidelines and regulations involving mass notification services and programs. It’s easy — and free — to set up an account at Monarch Broadcast Messaging. Once your account established, you have the advantage of deciding if and when you want our full service or self-service options. Actually, you can have both! If you want to launch your own phone broadcast, you can. If you want us to do it for you, you can do that too. Either way, you’ll have access to the most robust and technically advanced system available today. If you would like us to manage and launch your calls for you, our full service option has you covered. You will need to email us the list of phone numbers that you would like to call. The entire 10 digit phone number should be in one column of an excel spreadsheet. Do NOT put a “1” before each number – just use the area code plus local number. No need to add parentheses around the area code or dashes in the number – they aren’t needed. If you would like to include additional information (ie the names of your recipients, or other identifying information) you can include that as well. Once we have received your list, we will format it properly and upload it into the system. For your recording, you have two options. The first, and best, way to record is to dial into our automated recording line. We will provide you with that phone number and a Pin code. The recording line is completely automated and all you need to do is follow the voice prompts to record, review and save your message. You have the ability to rercord if needed, so don’t worry if you aren’t happy with how your first recording sounds. Once you have completed the recording process, your recording will automatically be in our system. For the best sound quality, we highly recommend using a landline to call into the recording line – cell phone connections are not as clear or consistent and the quality of your recording will suffer. The second recording option is to create one yourself and save it on your computer. You will need to email it to us, with your phone list, and we will format it and upload into our system. That’s it! We take it from there and will launch your voice broadcast calls on the date and time that you desire. When the calls are complete, we can send you a call report if you would like, which will show the disposition of each call – live answer, voicemail answer, busy, no answer etc. Once we receive your service agreement, we will immediately provision your account. We will then email you an instruction sheet, which will contain your user ID and password. Once you have received this, you are ready to go. The first time you login to your account, you need to complete two simple tasks that will take you just a minute at most. First, you will designate your account contact(s) and the email address(es) you want your call reports sent to. Second, you will need to enter your Caller ID – this is the number that people will see on their phone when you call them. Many clients only have one Caller ID in their account, but some clients may need several, especially if they have several different departments or locations all using the same account. Once these two tasks are completed, your account is completely set up and ready to use. Once you have created your list, save it on your computer. To upload it into our cloud based voice broadcast system, you will click on the list tab in your account, browse for the file you saved on your computer, and click upload. You will then see a sample of your list displayed. With a couple of mouse clicks you will designate your column names and click upload. Your list will now be saved into your account to use anytime you wish. The next step is to create or upload your recording. If you already have a recording created which is saved on your computer, you will click on the recording tab in your account and browse for it. Once chosen, all you need to do is click upload, and it will be saved in your account to use anytime that you need. Or, if you need to create a recording, you will click on the recording tab in your account and follow the simple instructions for calling into your automated recording line. Follow the voice prompts to record, review and save your recording into your account. Once you have you list and recording in your account, you are ready to send you phone broadcast calls. You will click on the send tab, name your phone broadcast, choose the date and time you want your calls to be sent, choose your recording from the drop down menu, and click the box next to the list you want to use. When finished, you just click “send” and your calls will automatically be sent on the date and time you specified. It is a very simple system to use, and within just a couple of moments and a few mouse clicks you will have scheduled your calls to dial. 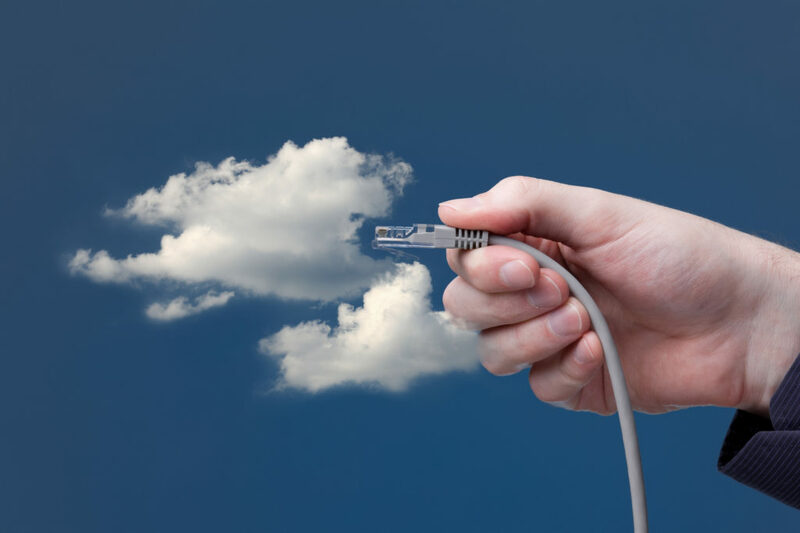 As cloud phone broadcasting, and online services of all kinds, continue to expand and the “Internet of Things” evolves, businesses and organizations are tapping into the next generation of technology that is more enabling, less expensive, and increasingly powerful in its ability to speed and deliver important communications and messaging. Monarch Broadcast Messaging stands ready to assist you as you embark on your project. We can offer you free professional consultations and explain how to achieve the most impact at the lowest cost — in other words, your best value options that will enable you to move forward with confidence knowing that you have a direct connection into the most user-friendly, most robust, and best communications system available on the planet. You can learn more about our phone broadcasting service here. Give us a call today at 888-387-8636.